Jan. 5, 2018 — Continuing our New Year’s preview, today we look at the 2018 Senate races from the Democrats’ perspective. Because they are now defending 26 of the 34 in-cycle seats, with the addition of the Minnesota special election, the Dems must primarily develop a solid defense before venturing into attack mode. If they are to have any chance of gaining a 51-49 majority, they will realistically have to win all 26 of the incumbent and open seat races they are forced to risk. 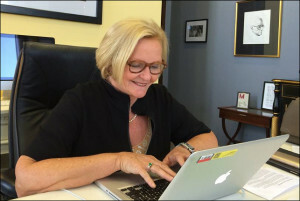 This includes three contests already considered toss-up campaigns: Missouri Sen. Claire McCaskill likely facing Attorney General Josh Hawley (R), Sen. Joe Donnelly in the Indiana race, and the budding Florida campaign likely between Sen. Bill Nelson and Gov. Rick Scott. Regardless of whom Sen. Donnelly ultimately faces in the Hoosier State, he will draw a top-tier opponent. Reps. Todd Rokita (R-Brownsburg/Lafayette) and Luke Messer (R-Greensburg/Muncie) battle for the Republican senatorial nomination, and they also face a credible third challenger in former state Rep. Mike Braun (R-Jasper). Braun has the strong ability to finance his own campaign, thus allowing him to adequately compete with the two congressmen. Since he has the promise of becoming his own force, Braun could conceivably strike a chord with the Republican electorate if the two congressmen continue fighting amongst themselves and allow him to slip by both of them. Republicans will also be competitive in several other Senate races, as they project to have a strong opponent against West Virginia Sen. Joe Manchin (Attorney General Patrick Morrisey and Rep. Evan Jenkins battle for the GOP nomination to be decided in May), while state Treasurer Josh Mandel looks to provide a stronger challenge to Ohio Sen. Sherrod Brown (D) than he did in 2012 when he fell 51-45 percent. The Pennsylvania GOP electorate looks to be coalescing behind Rep. Lou Barletta (R-Hazelton) but upsetting Sen. Bob Casey Jr. is still a highly formidable task, and this developing contest must be considered a long shot as the new year begins. Sept. 7, 2017 — White House personnel this week announced that President Trump will nominate Pennsylvania Rep. Tom Marino (R-Williamsport) as the new director of the Office of National Drug Control Policy. The appointment was expected to happen much earlier in the year, but a serious illness in the congressman’s family forced him to ask the administration for a postponement. 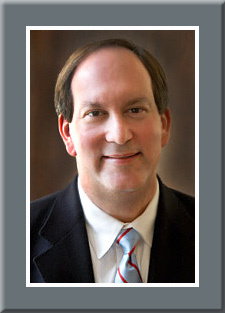 Should Rep. Marino move quickly through the confirmation process we would likely see another congressional special election called, similar to the situation involving Rep. Jim Bridenstine’s (R-OK) appointment as NASA administrator, in order to fill the remainder of the current term. There is a good bet, however, that Senate Democrats will want to delay Marino’s confirmation as long as possible. With a live redistricting lawsuit making its way through the Pennsylvania court system, the Dems hope a potential re-draw will significantly change the statewide map, and specifically this district, in time for the 2018 regular election. The 10th District, which contains 10 complete Pennsylania counties and parts of five others, occupies the entire northeastern corner of the Keystone State that borders New York and New Jersey, encompasses the territory around the cities of Scranton and Wilkes-Barre, and then shoots southwest past the Harrisburg-Carlisle area as far as the Tuscarora State Forest. Since 1952 inclusive, the district has voted Democratic only three times in congressional elections. During much of the succeeding six decades, veteran Rep. Joe McDade (R-Scranton) represented the region. He was in office for 36 years from the early 60s to the late 90s. July 13, 2017 — Two major announcements occurred during the last few days resulted in one individual becoming an official statewide candidate and another withdrawing from a campaign that had already begun. As had been expected for some time, two-term West Virginia Attorney General Patrick Morrisey (R) announced his campaign for the United States Senate. He will face two-term Rep. Evan Jenkins (R-Huntington) in the Republican primary, with the winner drawing a difficult political match with Sen. Joe Manchin (D). With average win percentages of 62 percent over two elections as governor (2004, ’08) in addition to a pair of Senate campaigns (2010 special election; 2012), Sen. Manchin appears to be in strong shape as he approaches his 2018 re-election. But, there are some cracks in his armor, hence the presence of two strong GOP opponents. 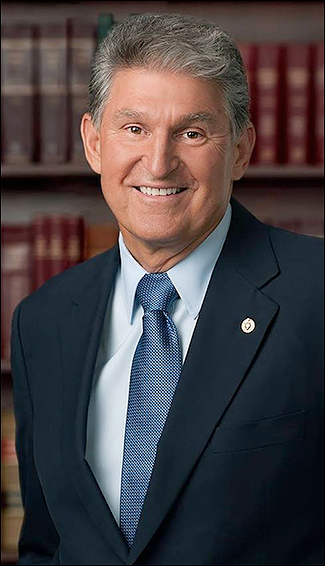 Though Sen. Manchin has attempted to cross the partisan line in his public relationship with President Trump and the Republican leadership on several issues, it is still a net negative for the senator to campaign on the same political landscape that proved to be the former’s second strongest state (69 percent).